Happy Hannukah. 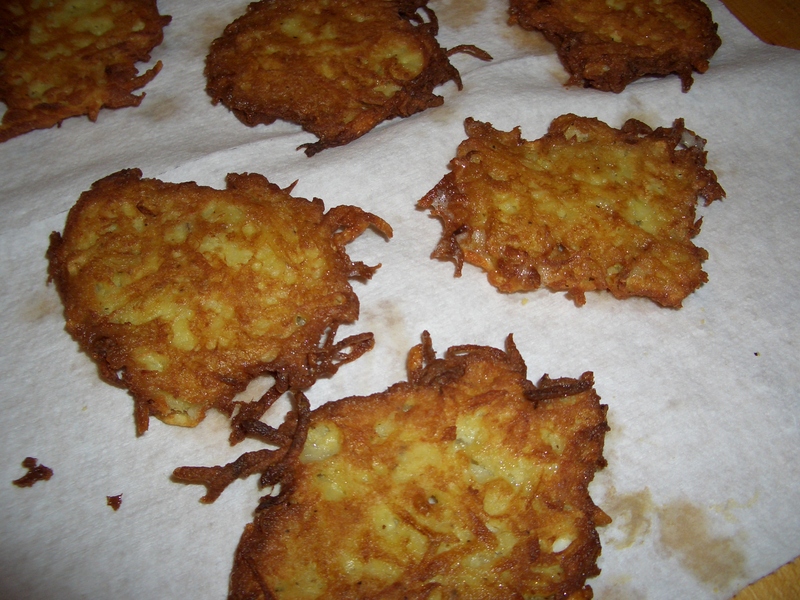 Every year my study group has a little Channuka pot luck and – as is usually the case – I am making the latkes (potato pancakes). I’m especially happy to do it this year as most recipes use flour or matzo meal (also a flour) and I want to make these gluten-free and Paleo. Hanukkah is one of the happy holidays. It’s celebrated for 8 days because it commemorates the miracle of a one day’s supply of oil for the menorah (a candelabra that was to burn throughout the night every night) in the Jerusalem Temple lasting the 8 days – long enough to produce a new supply. It’s a time of year where gifts are given (at least one each night), games are played, songs are sung, and eating greasy fried food is highly encouraged – especially latkes and doughnuts (it is, after all a holiday celebrating oil). It’s also known as The Festival of Lights (much easier to spell than Channukkah) and occurs on the darkest night of the year. The best part for me is lighting the Chanukka candles in the menorah and saying the blessing. It’s a ritual that brings me immediately back to my parents home and fills me with happy/sad memories. 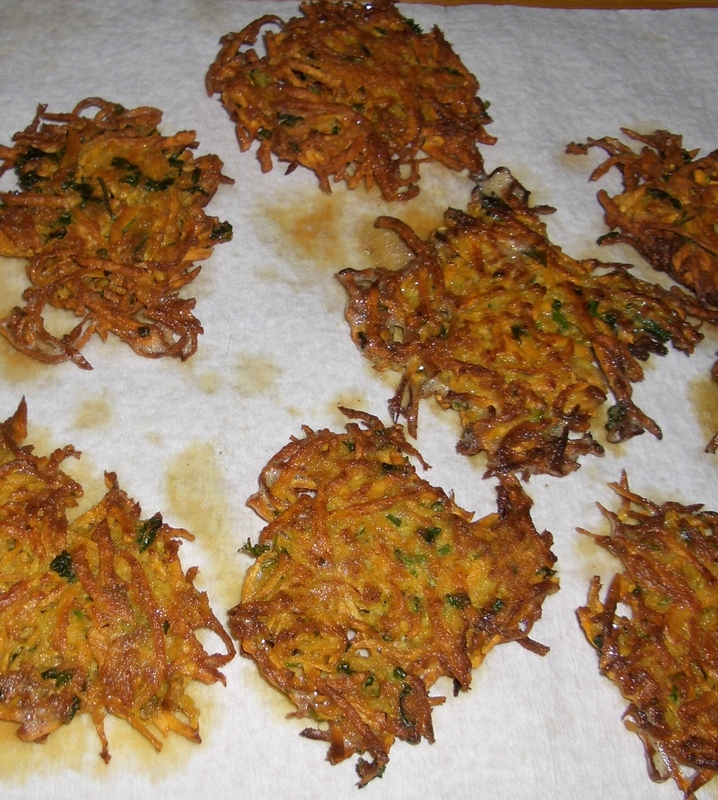 I’ve made these latkes using coconut flour in place of regular flour or matzo meal. 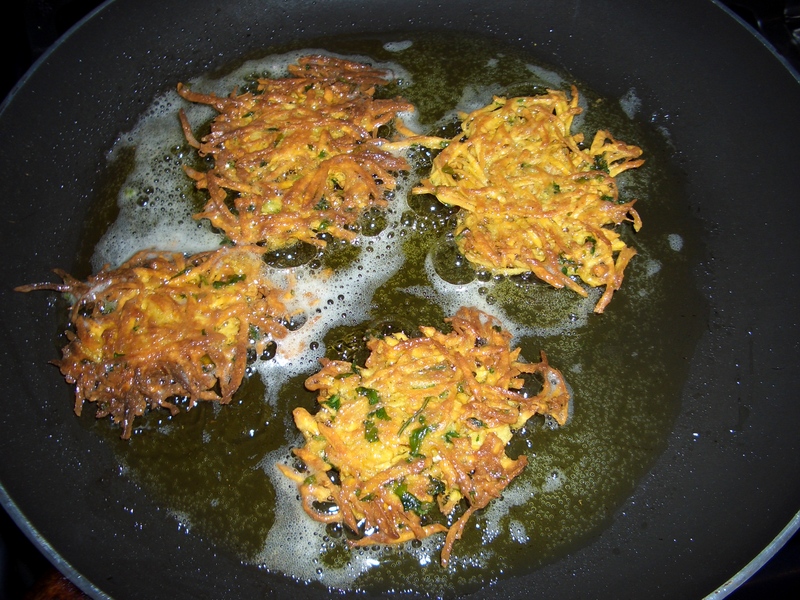 The interesting property of coconut flour is that it absorbed lots of liquid making these latkes quite crispy. On the other hand, you can notice a hint of grittiness (but no coconut flavor). 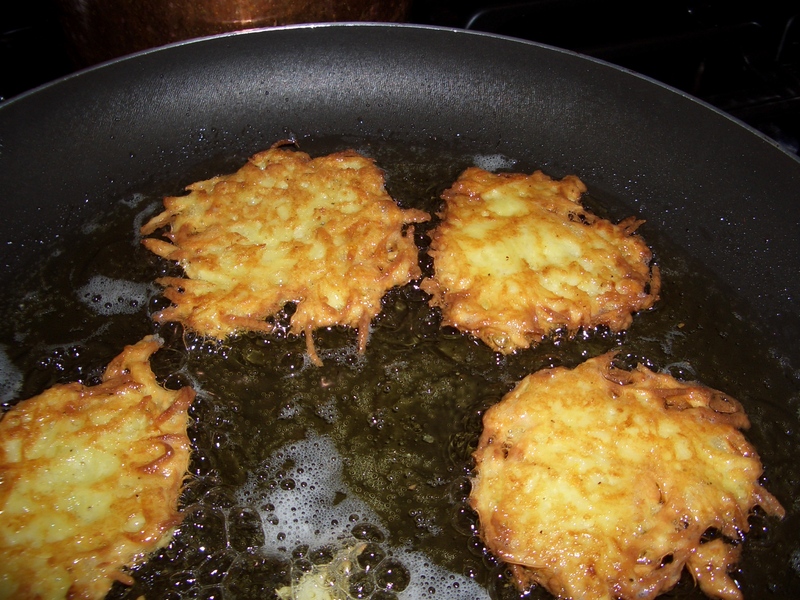 You can omit the coconut flour but your latkes will be less crispy. 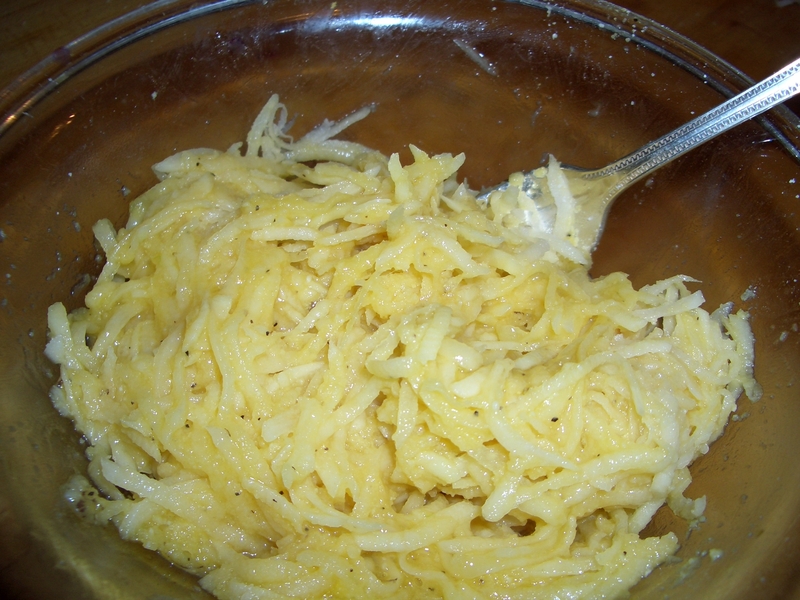 In a medium bowl, beat the eggs with the onion, salt, and pepper; set aside. 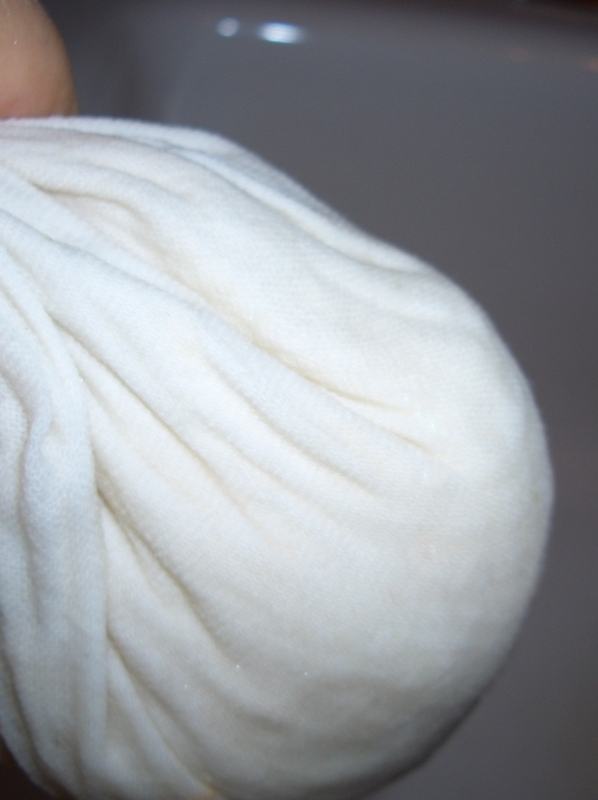 Shred the potato and place in a clean towel; squeeze out as much liquid as you can. 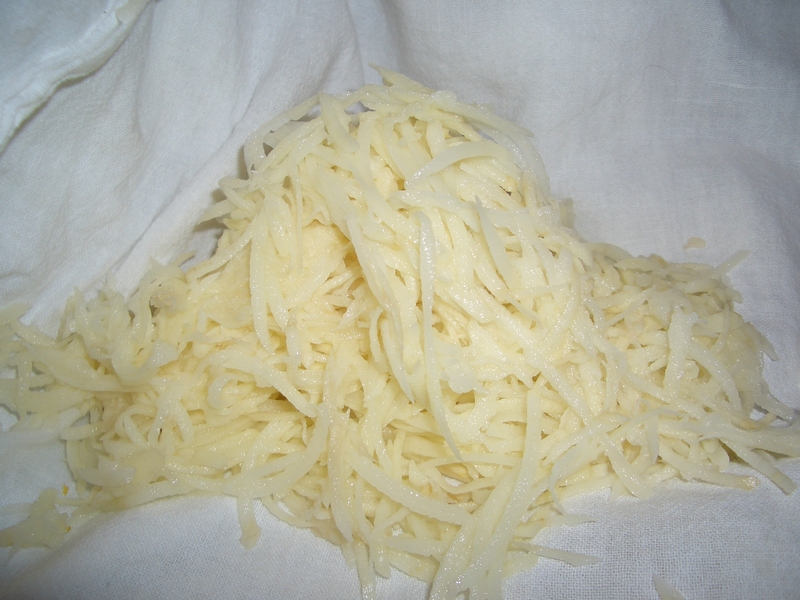 Sprinkle the coconut flour over the shredded potatoes and toss to combine. 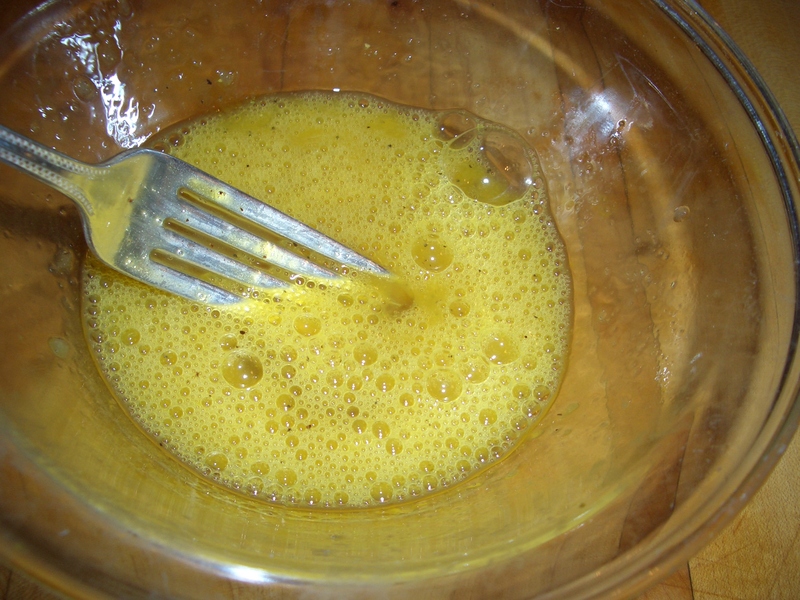 Pour enough oil into a large frying pan to cover the bottom generously. 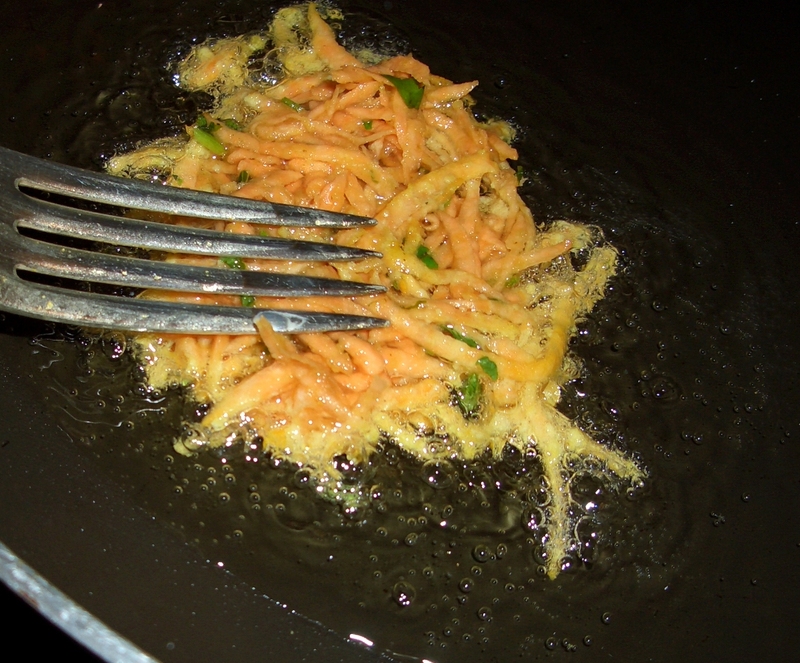 Heat until the oil bubbles when a small piece of potato is tossed in. 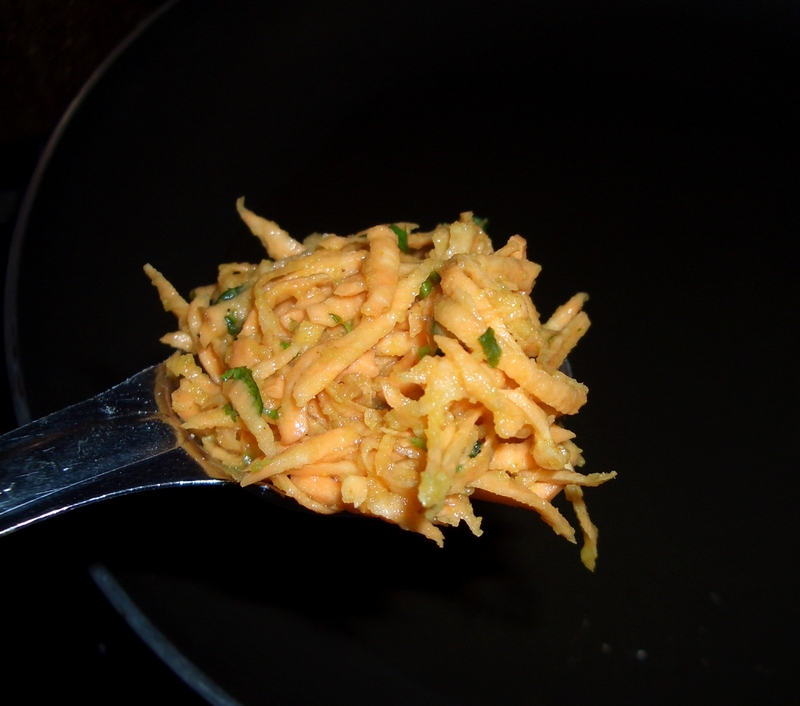 Place the potato mixture, a rounded tablespoonful at a time, into the hot oil. 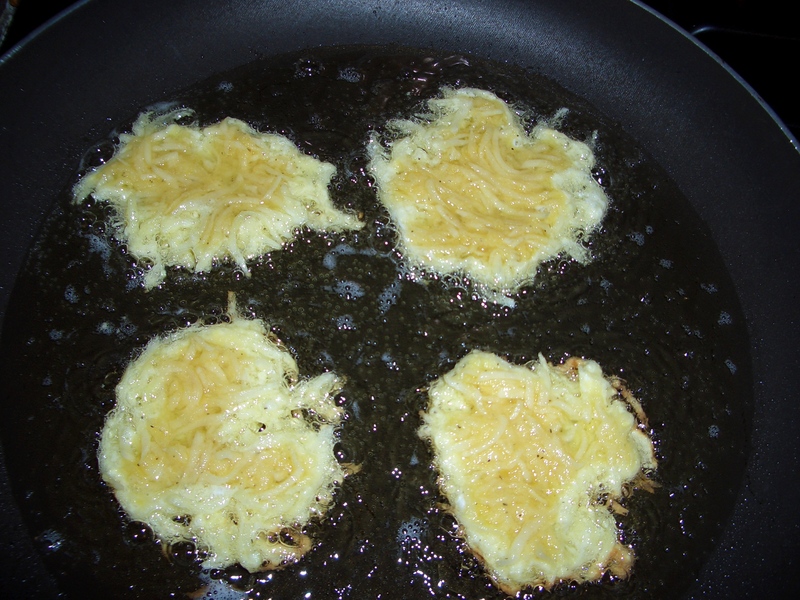 Flatten into a round-ish potato pancake, about 3-inches across. 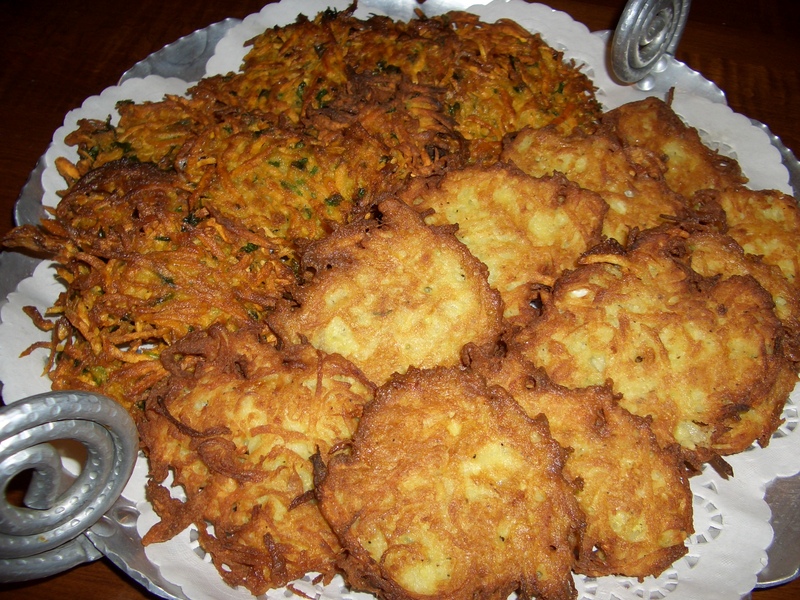 Continue to make as many latkes as fit in the pan. 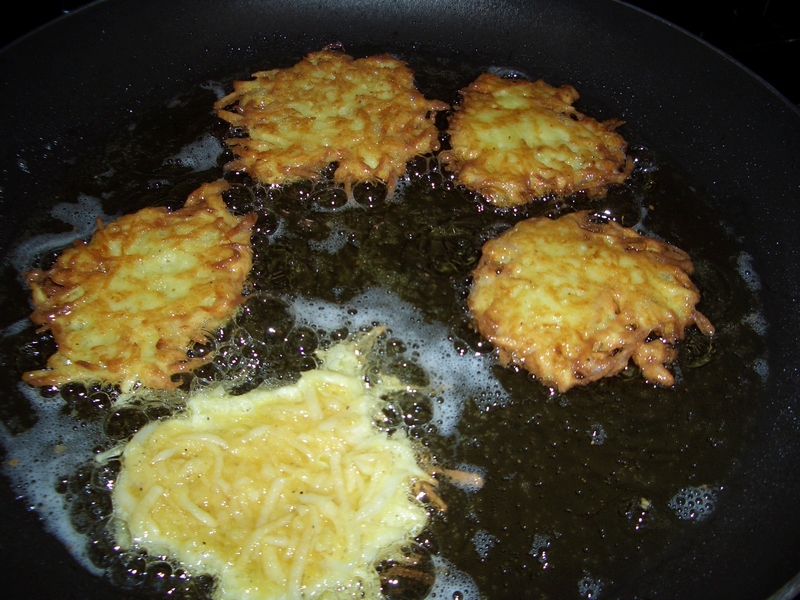 When the latkes are browned on the bottom, turn them over and cook until the second side is nicely browned too. 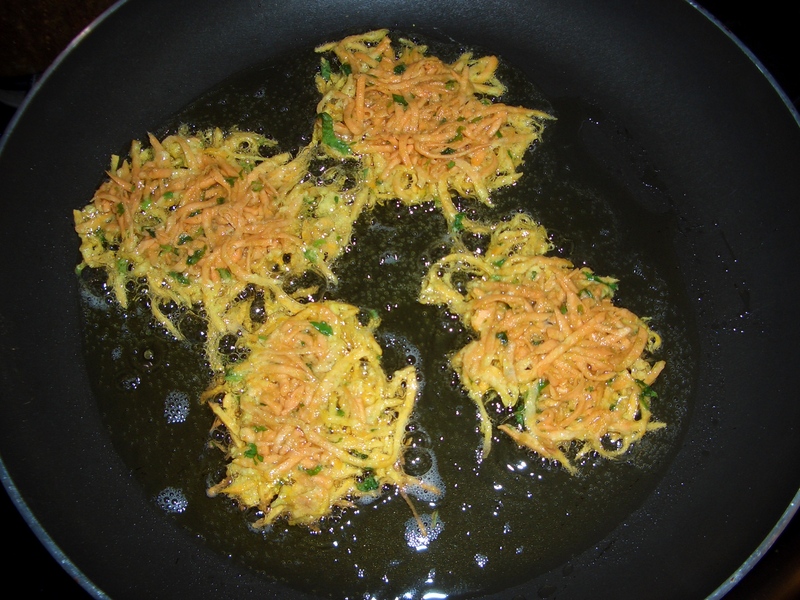 Add new latkes to the pan as you remove finished ones. 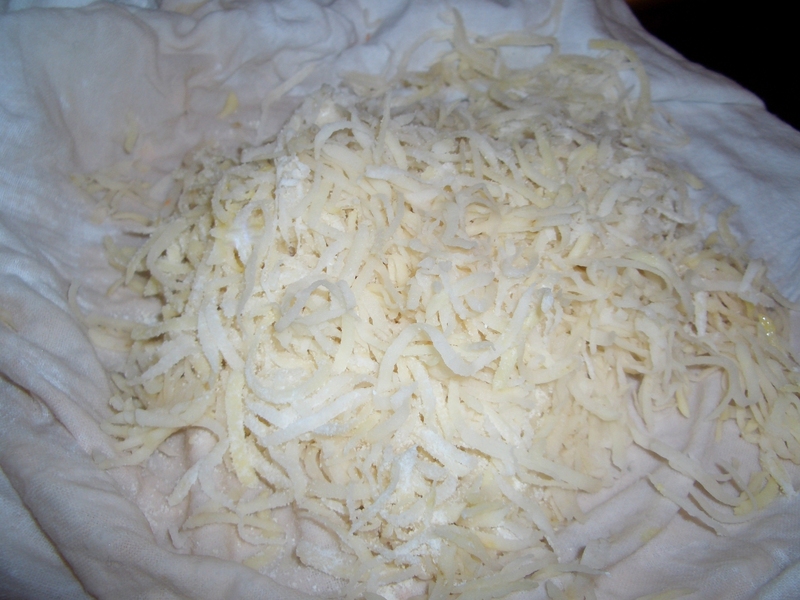 Remove from skillet and let drain on paper towels. You can then put them in a low oven to keep them warm until serving time. Place on serving platter. Serve with apple sauce or sour cream (if you can) or yogurt (if you can) or cinnamon sugar. 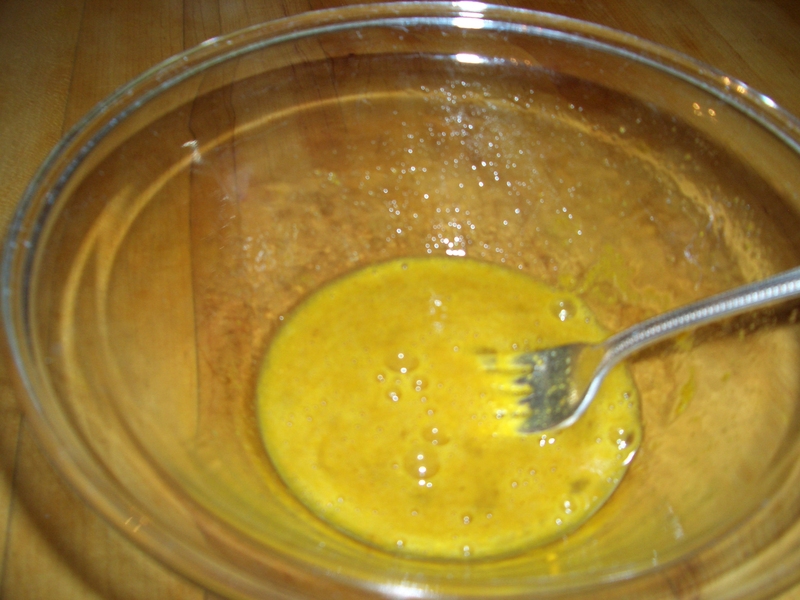 In a medium bowl, beat the eggs with the curry powder, and salt; set aside. 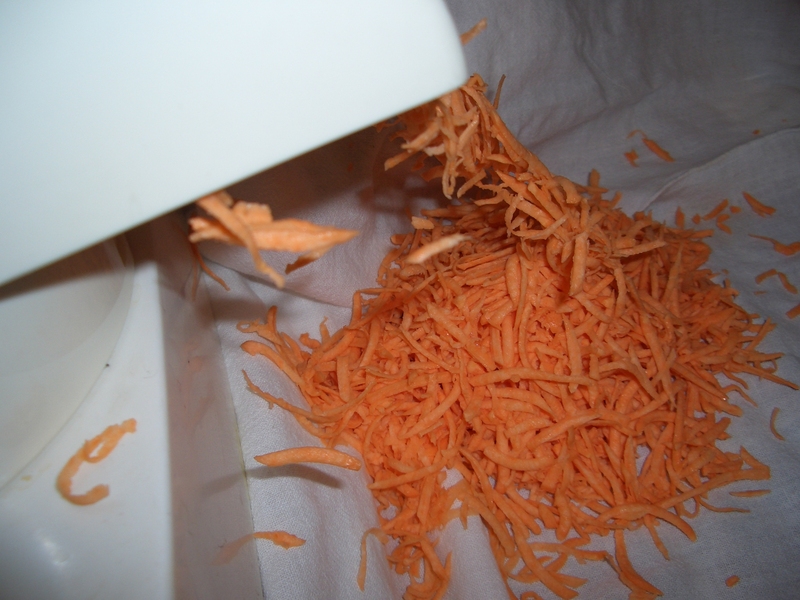 Shred the potato and place in a clean towel; squeeze out as much liquid as you can (I hardly got any). 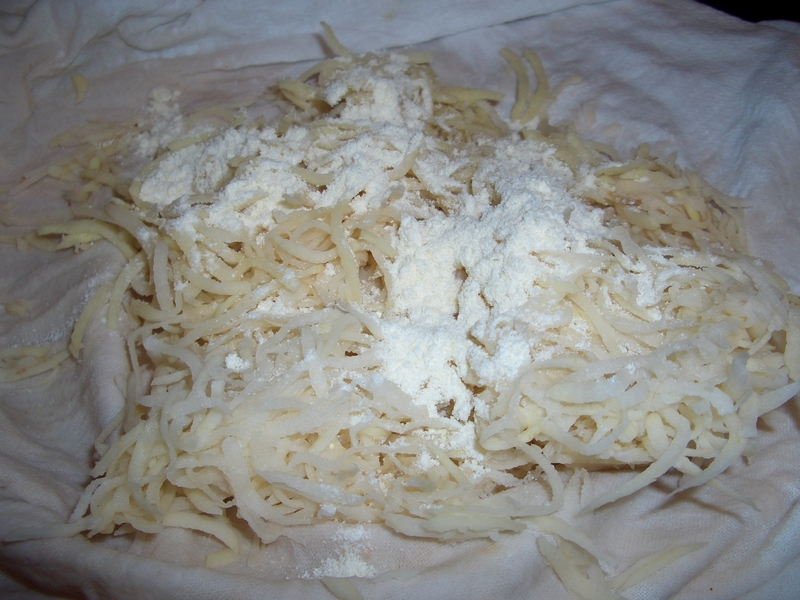 Sprinkle the coconut flour over the shredded potatoes and toss to combine. 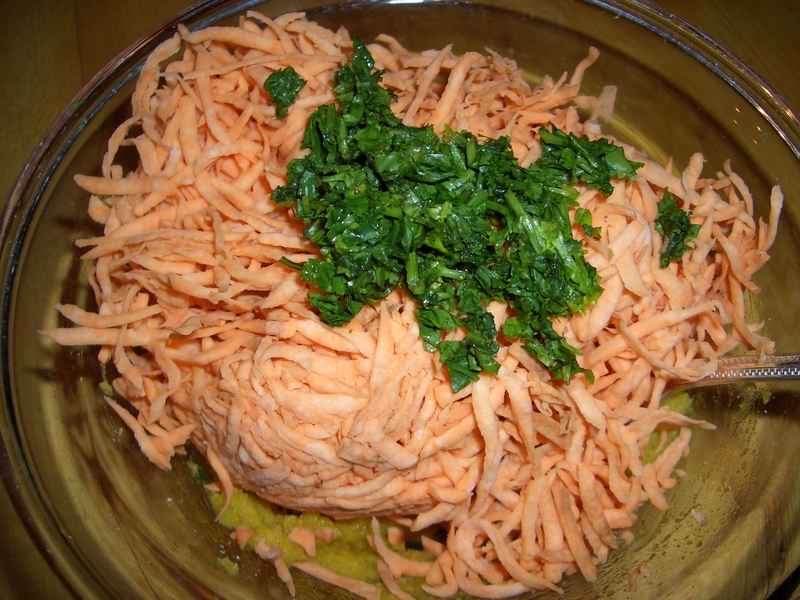 Add the potatoes and cilantro to the egg mixture.